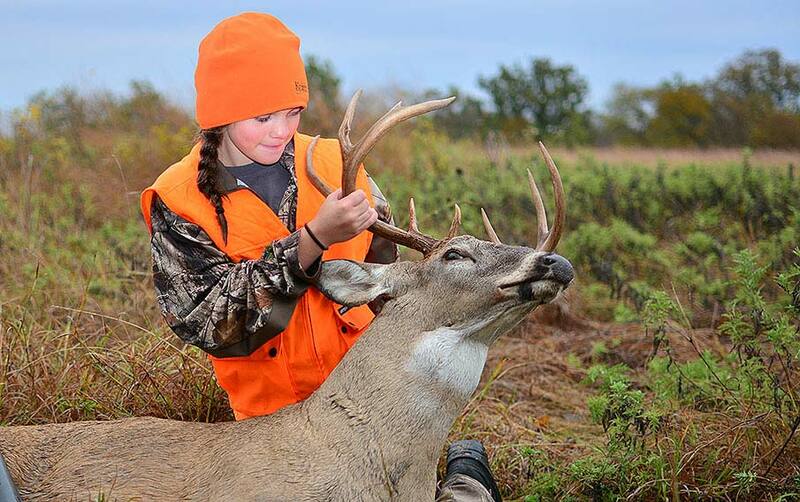 For a father, the first adventures out into the autumn woods when a son or daughter is toting a rifle in one hand and an unused deer tag in the other is one of the most exciting and memorable moments in a lifetime. I can vividly recall the time I did that with my two sons, taking them to our East Texas lease. There weren't many trophy whitetails, but there was plenty of excitement, plenty of woodsy adventure and more than enough deer to offer a reasonable chance of success. By the time our first season in the deer woods had ended, our freezer was filled with a good supply of healthy venison and there were memories made that will never be forgotten. Interested in doing the same with your children? Then allow me to pass along three tips, which include choosing a recoil-friendly rifle cartridge, practicing with a solid shooting rest and learning to resist the urge to shoot longer distances at deer. Taken together, I believe these tips will help deliver a more enjoyable and successful time in the deer woods. Keep in mind this isn't an end-all treatise on the subject, especially in light of the fact I'm neither a modern day version of the iconic American gun writer Jack O'Connor nor a bona fide expert at tagging huge bucks each year. And I’m usually never lucky enough to run out of deer tags every year as my freezer gets filled with some of the best wild meat on the planet. While we do a lot of other things in the outdoors world – bass fishing, duck hunting and spring turkey hunting to name a few – deer hunting is something we all look forward to each fall. And based on our time together in the deer woods, I can offer three tips born from my own experiences with my boys as they learned to be passionate deer hunters. The first thing we did was choose rifles offering beginner-friendly recoil – cartridges carrying enough killing power downrange but not at the expense of the shoulders of a couple of young boys. While the 6mm Remington was the gun my boys started out with, other good cartridges include the .243 Winchester, the .260 Remington and the 7mm-08 Remington. Again, keep in mind I'm no fancy gun writer or shooting expert and this list is anything but exhaustive. But in the case of my two sons, the 6mm Remington was a good cartridge that met our demands and performed well in the field. Once we had the right gun in hand, the second step was to practice enough. That meant going through a decent number of rounds to get the boys comfortable with the basics of operating a bolt-action rifle, taking aim through a scope and gently squeezing the trigger to send a round downrange. One big key to learning to effectively shoot – from my experience at least – is to use a solid shooting rest. Sand bags made reasonably solid rests for the deer hunting blinds, but I wish we would have had something a little bit better like the new products offered by Swagger Bipods. 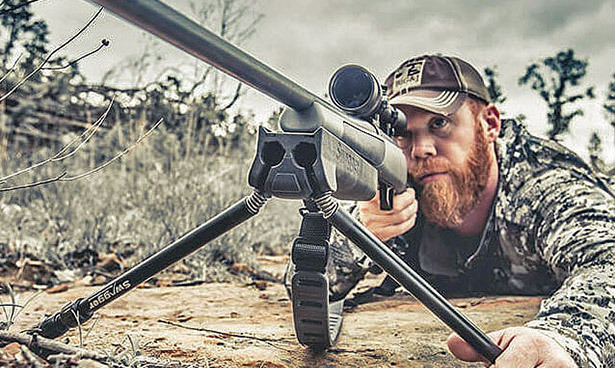 What makes Swagger bipods different from other stiff-legged bipods, monopods or shooting sticks currently on the market, is they use a patented Crazy Legs flexible leg system to give shooters the ability to maneuver their rifle in a variety of terrain and hunting situations (prone, sitting or standing). When used properly, Swagger bipods help provide a stabilized platform from which to shoot regardless of the terrain challenges presented to a hunter out in the field. Coming with a limited lifetime warranty and a "Shoot With Confidence" buy-back guarantee, Swagger offers two different bipods, one for deer hunters sitting in a treestand or ground blind, and another for use out in the field on a Western big-game adventure or a predator hunt. Why is the use of a product like the Swagger Bipod beneficial? Because the key here is to learn to shoot in a steady and consistent manner, perfecting a shot routine that can be duplicated on the shooting range when punching paper targets as well as when you’re out in the field and a big buck walks into view. Keep in mind we're not just talking about haphazard practice routines here. Instead, when it comes to deer hunting, we're talking about the idea that comes from the saying "Perfect practice makes perfect performance." Why? Because we're ultimately talking about shooting a deer, not firing at a stationary target. And that means a hunter – new, experienced or otherwise – should be well practiced before stepping into the field and unleashing a round downrange at a white-tailed deer. Because the goal isn't to actually shoot at a deer, it’s to quickly, humanely and effectively deliver a lethal rifle shot downrange into the boiler room of a whitetail. A third key for introducing a young shooter to the sport of deer hunting is to restrict shots to easy-to-master distances. In the case of my two sons, that was 100 yards or less, something that was easily doable since most of our potential shots were at relatively close distances in the heavily-wooded terrain found throughout the Pineywoods of East Texas. Had we been hunting farther to the west or southwest in our home state, more discipline would have been required since shots of 200 to 300 yards are common in the Rolling Plains, South Texas Brush Country and the Cross Timbers region of the Lone Star State. Why a distance of only 100 yards since many modern rifle cartridges are capable of delivering lethal rounds to a deer much farther downrange? 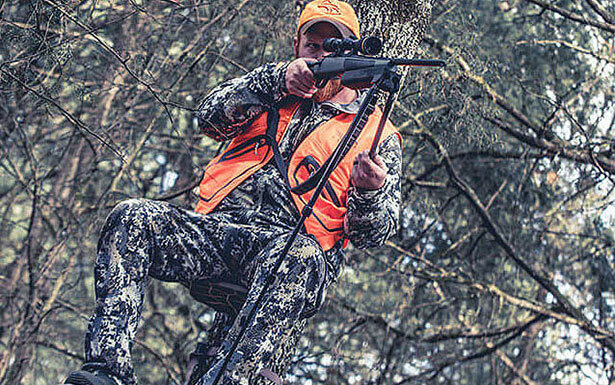 Because shorter distances are more easily mastered, both on the shooting range and out in the field when a deer walks into view and causes a young hunter’s heart rate to approach Buck Fever's red-line status. Again, at the risk of sounding preachy and overstating the obvious, the goal isn't to shoot at a deer; it's to quickly and effectively harvest one. So, until your young shooter has a few used tags under his or her belt – and plenty of shooting experience – in my humble opinion, less is more when it comes to the question of distance. Do such shooting and hunting tips work? Well, in the case of my two sons it certainly did as both harvested their first whitetails early on in their hunting careers. With the three ideas displayed above, it was a great experience for them as they learned to be solid marksmen with a deer rifle they could handle, mastered the art of putting a lethal round into the so-called 10-ring and did so at distances they could confidently handle. What have the results been since then? A love for the annual autumn chase of whitetails, a healthy supply of venison in the freezer and memories that will last for a lifetime. May you and your kids experience plenty of the same.